There’s nothing quite like spending a sun-soaked day in late July along the river with a crisp and refreshing craft beer in hand. 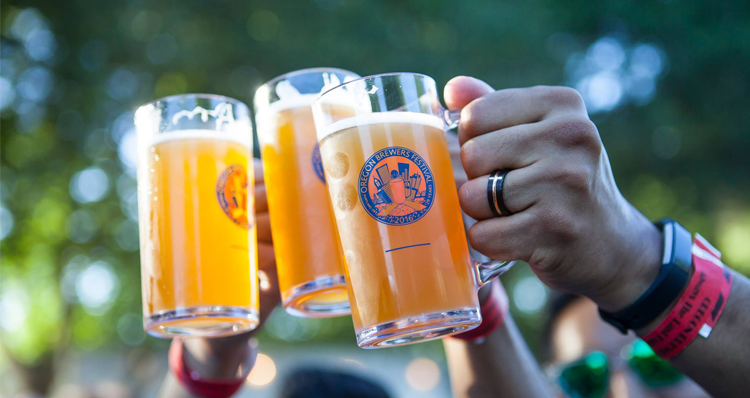 Experience this magical combination at the 31st Annual Oregon Brewers Festival on Thursday, July 26 through Sunday, July 29 at Tom McCall Waterfront Park! 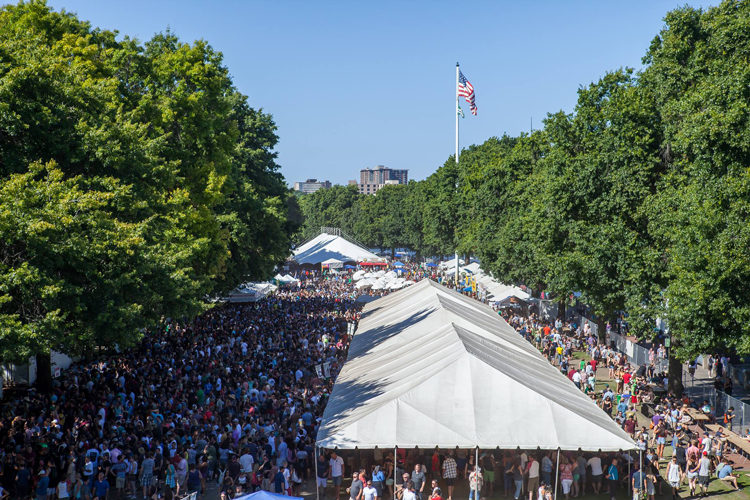 One of the nation’s longest-running craft beer festivals, the Oregon Brewers Festival is considered a craft beer destination, attracting around 70,000 visitors each year. This renowned festival will feature 80 independent craft beers from 80 different breweries from across the country, with a focus on West Coast breweries, particularly those in Oregon. There are several changes to the Oregon Brewers Festival this year, so even if you’ve attended in the past, take note of these exciting additions and updates! This year, the festival is returning to a four-day event as opposed to the five-day schedule in past years. Beer will be served from 12–9 p.m. Thursday through Saturday and from 12–7 p.m. on Sunday. The festival is going green this year by replacing their paper programs (which required printing 140,000 pieces of paper each year) with a mobile app! Download the Oregon Brewers Festival app to search for beers by style, take notes, find breweries on a map, chat with friends, post to the wall, check out the music line-up, and more. If you would prefer to see a traditional list, check out this detailed spreadsheet with all beer descriptions and stats, which can be downloaded for sorting and printing. They will also be handing out a one-page printed list of beers by trailer and by brewery, plus a map of the event — free for everyone. This is another first for the festival! The Oregon Brewers Festival is not a ticketed event and there is no admission charge to enter the festival grounds. However, in order to consume alcohol, you must purchase a 2018 souvenir plastic mug for $7. Beer, cider and wine may be purchased with wooden tokens, which cost $1 a piece. It costs four tokens for a full mug of beer or cider and one token for a taste. It costs five tokens for a 5-ounce pour of wine and there are no tasters available for wine. Purchase your mugs and tokens on site at the tent just inside the Oak Street entrance. This booth accepts cash only and there are eight ATM machines on premise. 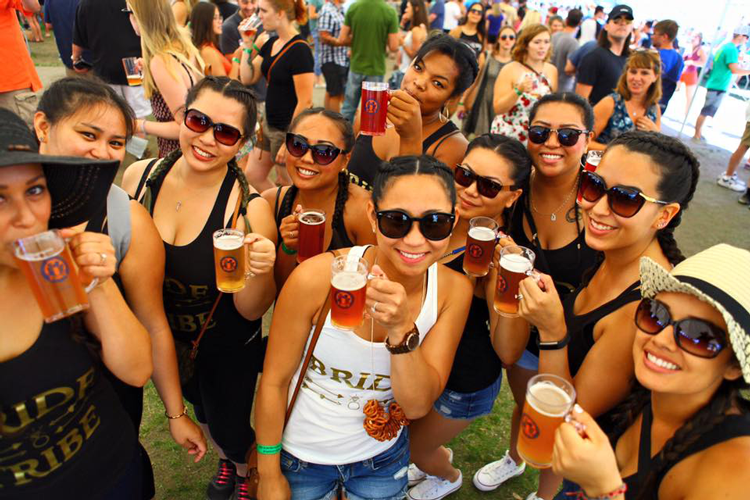 You heard us correctly — there will be cider and wine at the Oregon Brewers Festival this year! For the first time in the festival’s history, there will be two ciders on site, from two local favorites, Cider Riot! and Reverend Nat’s. There will also be wine available, including a red and white from Eola Hills, and a white and rosé from Serra Vineyards. Cider and wine will be served in a separate tent, on the east side of the festival near the river. 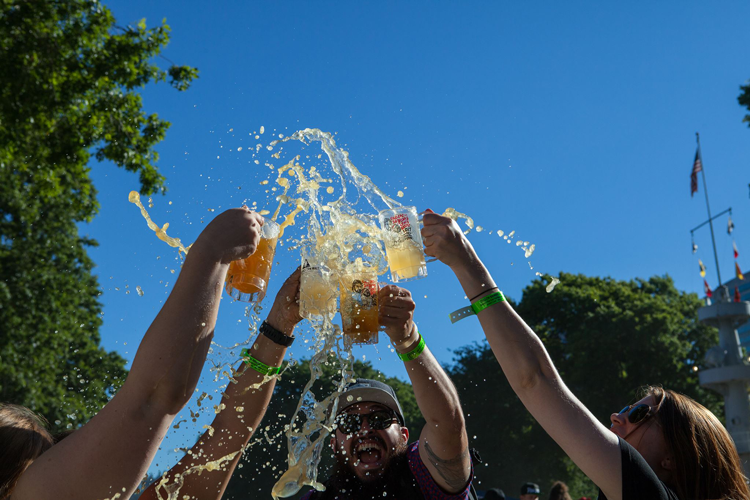 The theme of this year’s festival is With Beer Brings Friendship, which is a nod to the many relationships built at the Oregon Brewers Festival over the years, particularly with foreign brewers in attendance. In fact, there will be five breweries from Baja California, Mexico at the festival this year! All weekend long, enjoy live music at the festival stage! Check out the entertainment line-up to see which bands and musicians will be playing throughout the event. Plus, visit with a number of beer-related vendors and displays scattered throughout the festival grounds. Or satisfy your cravings with a bite to eat from the many food vendors on site, serving everything from pizza to burgers, gyros to pretzels, and everything in between. All in all, make sure you celebrate responsibly by taking advantage of the many rideshare offerings at the festival. The Oregon Brewers Festival is working closely with the Portland Bureau of Transportation on its “Safe Ride Home” program. There will be reduced-cost rides available from taxis and transportation network companies in order to prevent attendees from driving under the influence. There will also be discounted vouchers for $20 toward taxi rides and $5 for Lyft and Uber rides throughout the weekend. Vouchers will be available on site for everyone. Your participation in the Oregon Brewers Festival ultimately helps those in need, as the festival has pledged $20,000 to two local beneficiaries this year, each receiving $10,000. The first is Habitat for Humanity Portland/Metro East and its program, The House That Beer Built, a partnership between the organization and local craft breweries and beer-related businesses. 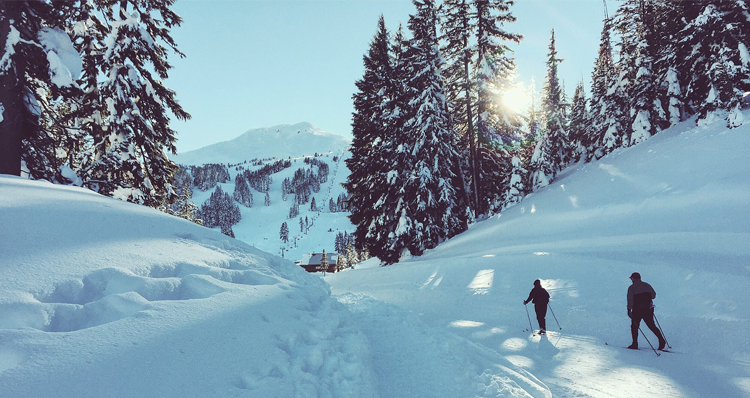 This exciting collaboration celebrates the strength and creativity of Oregon’s craft beer industry along with its passion for community involvement. 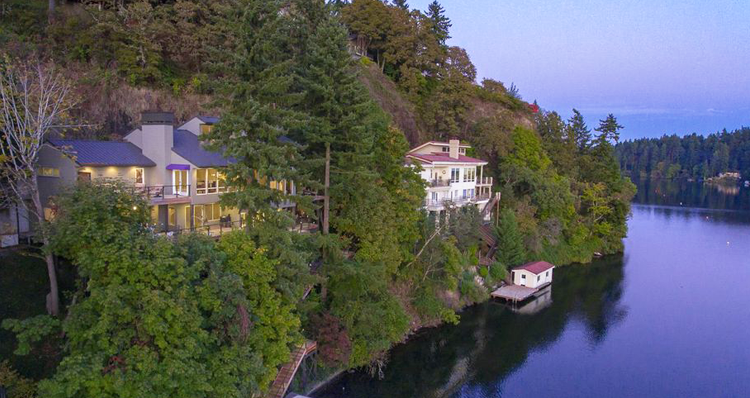 They believe everyone deserves a decent place to live — and we certainly agree! The second beneficiary is New Avenues for Youth, an organization dedicated to the prevention and intervention of youth homelessness. 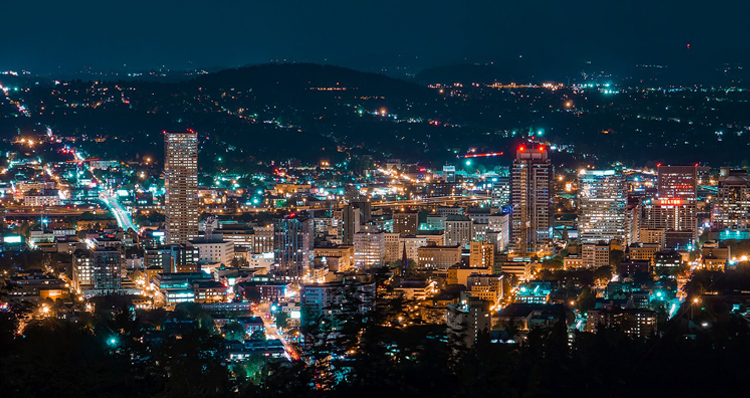 Its Brews for New Avenues event is considered to be the largest rare beer auction in the world, bringing hundreds of beer connoisseurs and breweries from around the globe to Portland. 100 percent of the proceeds from this unique event series benefits New Avenues for Youth’s programs and services for youth experiencing or at-risk of homelessness. 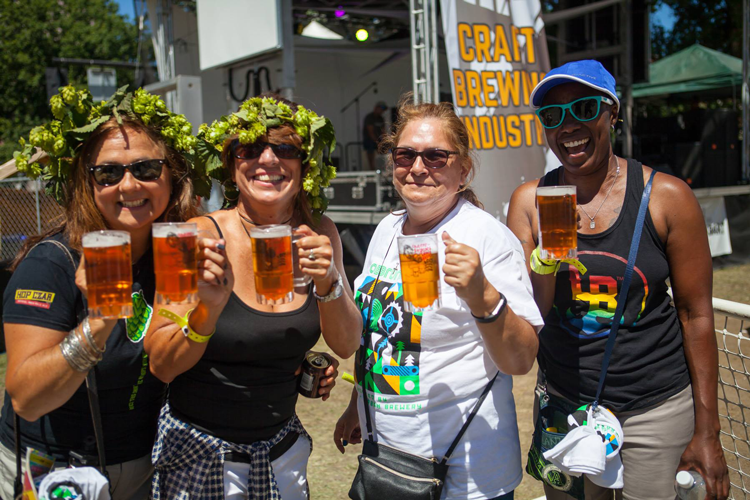 Whether you prefer Belgians or blondes, pales or pilsners, saisons or sours – come to the Oregon Brewers Festival and see for yourself why this is one of the world’s most beloved craft beer festivals! Here’s a preview of some incredible regional beers you can expect to see at the Oregon Brewers Festival this year! Boneyard took its Incredible Pulp Blood Orange Extra Pale Ale and inoculated it with brettanomyces, then aged it in Oregon Pinot Noir barrels for six months. This is a dry hopped lager conditioned on cucumber and lime zest. The brewery hand-peeled 225 pounds of cucumbers and let the finished beer sit on the cucumbers during an extended lagering phase. The result is easily one of the most refreshing and quenching summer beers Breakside has ever made. Inspired by the smoked lagers of Bamberg, Germany, This Train is Bound for Hell is brewed with 100% German malts and hops. Weyermann Pilsner and Beechwood smoked malts are the engines that drive this locomotive. En route, you’ll find delicate hop notes from the judicious application of Perle, Hallertauer, and Hersbrucker hops. The trendy new style in craft beer combines the taste and aroma of tropical fruit juice with subtle bitterness. This mildly hazy IPA was brewed with six hop varieties providing a large array of fruit flavor. This traditional, tart German-style wheat beer is highly carbonated, dry, puckering, and refreshing. Soured with lactobacillus in the fermenter and then finished with a unique strain of brettanomyces, this beer was brewed in February to allow proper development of the yeast character, yielding an easy drinking beer with layered aromas and flavors. This specialty sour ale is made with delicious raspberries and rhubarb. Tart and slightly sweet with strong notes of fruit, it boasts a beautiful crimson hue and an even more amazing taste. Cold Chillin’ Cream Ale is golden in color with a silky smooth mouthfeel to cool you down from the summer sun. Vanilla bean is added to the cream ale base to add sweetness and flavor to the brew. Kick back, relax and get your chill on as you enjoy this summertime sensation. Flamingo Planet is an easy drinking blonde ale brewed with guava. 100% pale malt provides a light body and golden color. Lightly hopped with Amarillo and Crystal, this juicy beer is sure to blast you away to a tropical planet paradise. An old school American-style pale wheat ale provides the backdrop for this surprisingly hoppy treat. Northwest-grown pale malt and malted wheat blend with French caramel malt to make up the grist. Then, experience the depth of Oregon-grown Amarillo hops as they hit all the right spots – bright citrus, juicy tropical and a dash of herbal dankness. The result is a light-bodied, hop-forward brew that finishes clean and dry. It represents everything we love about American ales. In recognition of its renowned Cascade Barrel House pub on Belmont Street in Southeast Portland, Cascade is pleased to release Belmont Street Bramble, a blend of sour blond ales aged in oak wine barrels for up to two years with red raspberries and tangerine peel. Crisp and refreshing, Belmont Street Bramble offers intense raspberry flavor with a hint of citrus, making it the perfect summer sour sipper. This tequila barrel-aged blonde ale is loaded with fresh lime and orange zest. It’s a big boy version (barrel-aged) of the brewery’s “Cerveza Del Playa” with citrus flavors and aroma. Cheers to the Oregon Brewers Festival! Let us know what beers you’re looking forward to trying! See the full list here.